Ukraine in January-March this year exported electricity for $80.471 million, in particular in March for $30.813 million. According to the State Fiscal Service, in January-March electricity was supplied to Hungary for the amount of $51.395 million, Poland for $19.024 million, Moldova for $8.147 million and other countries for $1.905 million. Thus, in monetary terms exports of Ukrainian electricity in January-March 2018 increased by 18.1% compared to the same period in 2017 ($68.12 million). In addition, Ukraine in January-March 2018 imported electricity for $457,000 (from Russia for $442,000, from Belarus for $15,000 and Moldova for $1,000). 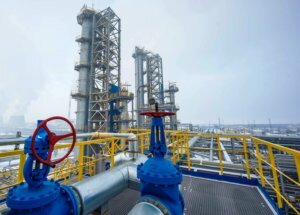 Agroliga Group (Kharkiv region) has completed the construction of an innovative oil extraction plant in Nova Vodolaha (Kharkiv region). 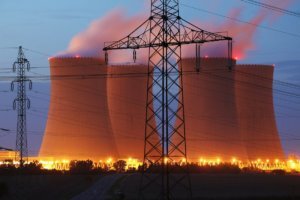 According to a report on the group’s website, equipment diagnostics and the testing of technological processes will now be carried out within two months. The inspection is aimed at identifying and eliminating possible defects in the installation of electrical equipment. After completion of the commissioning works, the plant will be put into operation. As reported, the total cost of construction and procurement of all necessary components and equipment for the oil extraction plant was estimated at $9 million, of which $6.7 million was financed at the expense of external sources. The new plant will have the opportunity to change the volume of processing of raw materials in the range from 100,000 tonnes to 170,000 tonnes without additional investment in equipment, and if extra investments are attracted, the capacity could be raise up to 280,000 tonnes per year. The plant will also be able to reconfigure the equipment for soybean and rapeseed oil production without additional investment in equipment. Agroliga has been operating in the Ukrainian agricultural market since 1992. Its enterprises are engaged in growing grains, processing sunflower seeds and dairy farming.